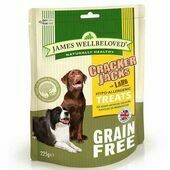 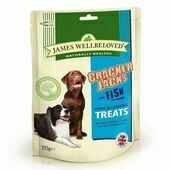 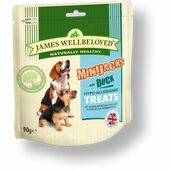 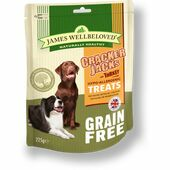 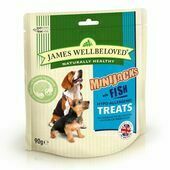 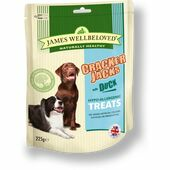 Free from common food allergens such as beef, pork, wheat, soya, dairy, and eggs, James Wellbeloved Crackerjacks are hypoallergenic dog treats designed so that they can be fed to any dog without having to worry about whether or not they will trigger an allergic reaction or irritate sensitive stomachs. 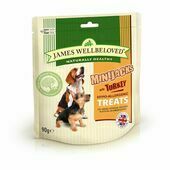 Delivered inside resealable packs that help to keep dog treats fresher for longer, these dog biscuits have Turkey as their primary source of protein and also contain tomatoes, rice, parsley and thyme. 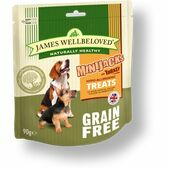 Enriched with an assortment of essential minerals and vitamins and completely free from artificial preservatives, colours and flavourings, which have been known to cause hyperactivity in pets, these James Wellbeloved dog treats are perfect for rewarding dogs during training or simply praising them when they have been well behaved. 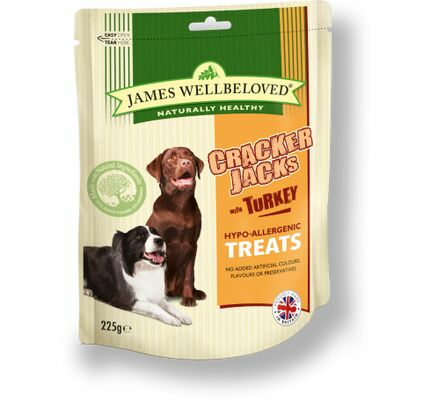 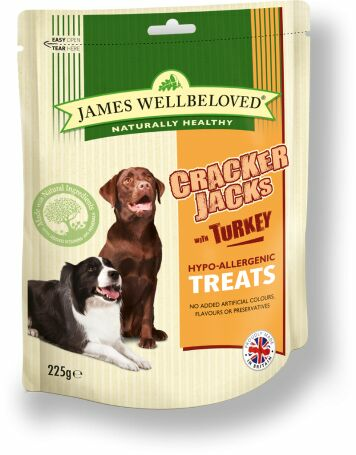 James Wellbeloved Crackerjacks Turkey, Rice & Tomato are the ideal dog treats for pets that with sensitive digestive systems, irritable skin or allergies, and will complement hypoallergenic diets by enhancing a dog's nutritional intake without having a negative impact on their health.